The new Jaguar XJ is arguably the best-looking luxury flagship currently available in the United States. That's quite a claim to stake, but stare at an XJ for five minutes and then study a BMW 7 Series or Mercedes-Benz S-Class – not as pretty, right? Jaguar isn't oblivious to the fact that it's created quite a stunner here, and thus, it only makes sense that the XJ's styling cues will make their way to the smaller XF sedan. Seen here slightly camouflaged, the 2012 XF clearly sports revised fascias, both front and rear. 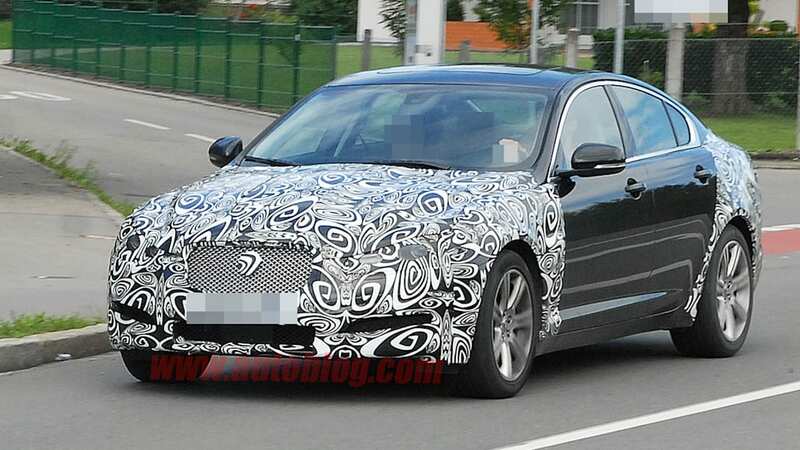 Look closely and you'll see that the XF's new headlights and reshaped bumper are similar to what we see on the larger XJ. 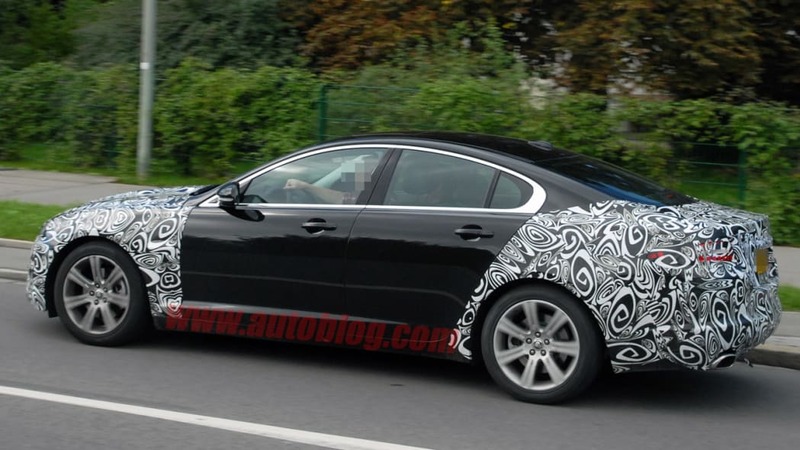 The taillights out back aren't getting too substantial of a makeover, but we expect that full-LED units will be in place for the 2012 model year. 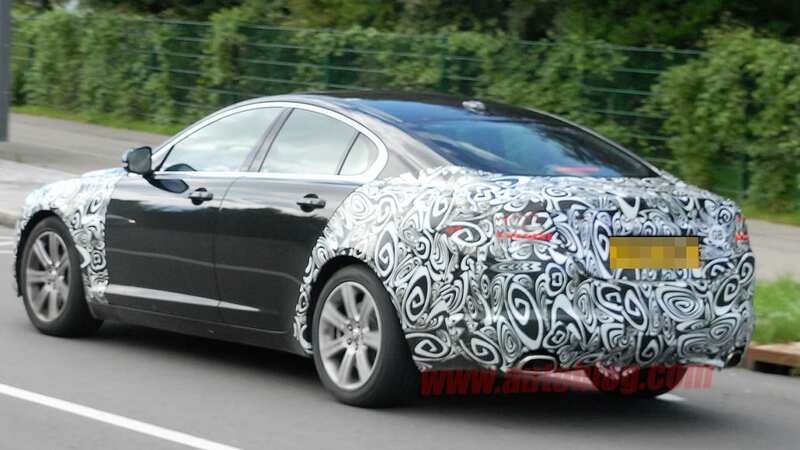 Don't expect the XF to get a whole host of changes for 2012 – the small nip/tuck to the exterior is about all we should see. 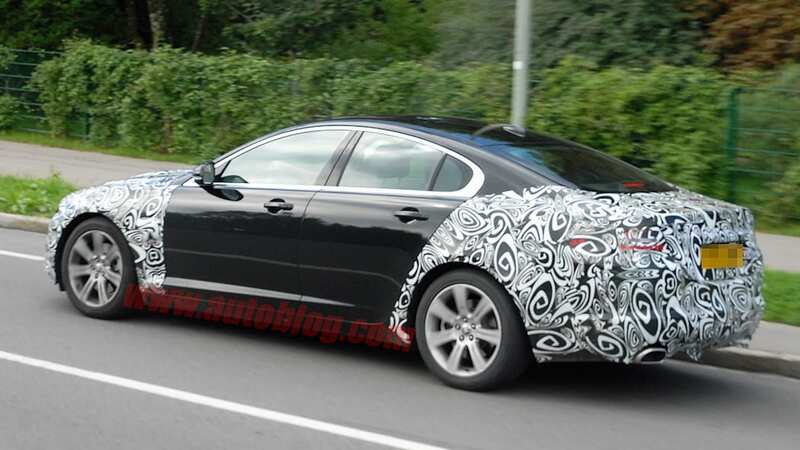 That isn't a problem, though, because even in not-so-XJ-ified form, we're quite fond of the XF – especially the XFR. 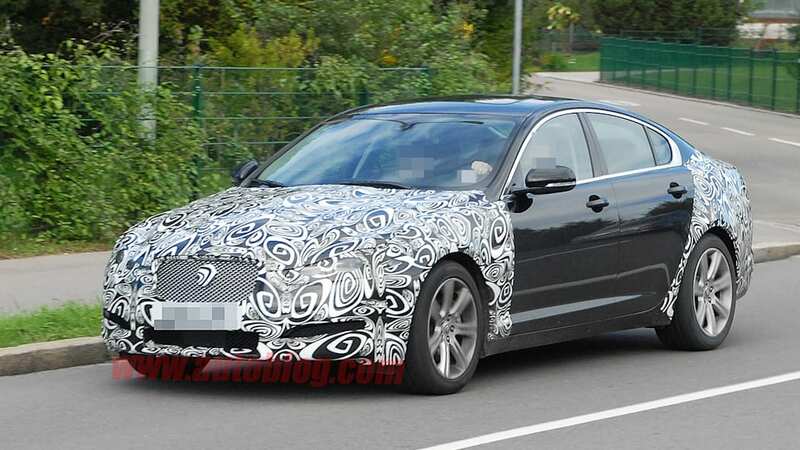 Scroll through the gallery below to see high-res spy photos of the refreshed XF.